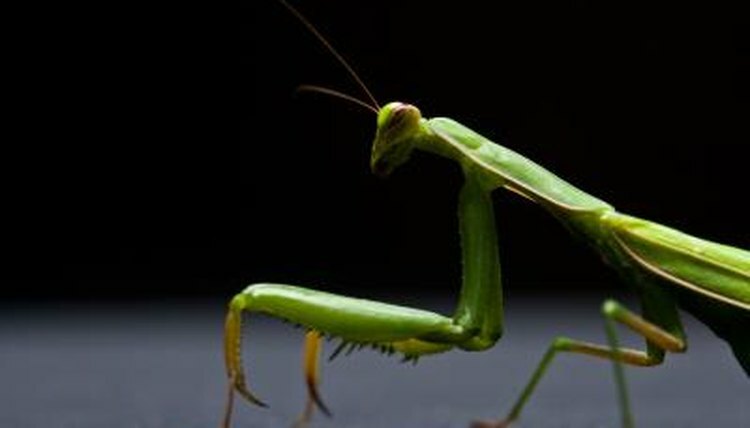 Although these insects are commonly referred to as praying mantises—because they hold up their large front legs as though in prayer—the term "mantids" or "praying mantids" is actually more accurate. Over 1,800 mantid species exist worldwide. Mantid pods are the protective cases that females make in which to lay their eggs. Before a female praying mantid can make her pod, she needs to mate with a male. Mating rituals vary depending on the species, but can be quite intricate. Once the female accepts the male, he jumps onto her back, grabs her wings and thorax with his spiky forelegs, and deposits his sperm inside her. The mating process can go on for up to 24 hours. Although the female mantid has a fearsome reputation for devouring her mate, this is actually fairly rare. Researchers estimate it happens in between 5 and 31 percent of cases, and rates may be affected by disturbance. That means that by observing mantids mating, researchers might cause the female to eat the male. While mating occurs in summer, female mantids don't lay their eggs until late fall. However, before they can lay, they need to produce their egg pods, also known as oothecas. Female mantids find a good location for their pods—depending on the species, this could be a twig, a flat surface or a secluded patch of ground—and then secrete a foamy substance from their abdomens. This substance hardens to form the ootheca. The purpose of these egg cases is to protect mantid young before hatching. Once female praying mantids have created their egg pods, it's time to lay their eggs. The amount of eggs laid depends on the species, but can range from 12 to 400. Each egg has its own special compartment in the ootheca, where it can remain safe all winter before hatching in the spring. If plentiful food sources and mates are in the area, female mantids can create and lay eggs in up to 22 pods in one breeding season. Once spring arrives, it's time for the young mantids to hatch out of their eggs. The young are known as nymphs and look like tiny versions of their parents. While a single egg pod can hold hundreds of baby praying mantids, most of them won't reach adulthood. The strongest hatchlings will often make their brothers and sisters their first meal. These nymphs are also preyed upon by a range of larger creatures, although they are adept at camouflaging themselves.